NIA CHARLESTOWN NEVIS (JUNE 22, 2016) – Premier of Nevis Hon. Vance Amory, says if Nevis is accepted as a United Nations Educational, Scientific and Cultural Organization’s (UNESCO) World Heritage Site, it would be a significant milestone which could contribute to the island’s economic development. Mr. Amory shared that view on June 20, 2016, immediately after Mr. Christian Goodwillie, Director and Curator of Special Collections and Archives at the Burke Library, Hamilton College in the United States of America (USA), accompanied by St. Kitts and Nevis Ambassador to the Organisation of American States (OAS) His Excellency Dr. Everson Hull paid him a courtesy call at his Bath Hotel office to discuss his interest in preserving historic documents on Nevis. “One of the things which we have been discussing is having heritage tourism play an important role in our economic development and if we are able, with your help Dr. Hull through Hamilton College through you Mr. Goodwillie, to get Charlestown listed by UNESCO as a World Heritage Site…would pay long-time dividends for us,” he said. 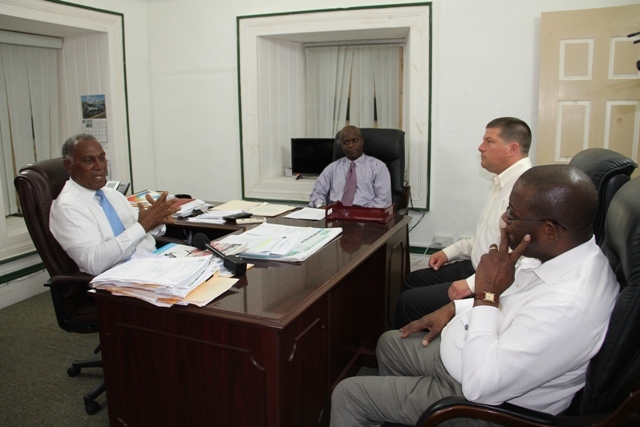 Mr. Amory indicated that Nevis has many historical sites, each with its own relevance and importance and the Nevis Island Administration has been trying to find ways of preserving them. Meantime, Dr. Hull, who enlisted the college’s assistance in preserving the historic data on Nevis, said the move came in April when he learnt that Nevis had, in the past, submitted a proposal to UNESCO and was on a tentative list of its World Heritage Sites and he set out to reactivate the proposal. He said he has since contacted key persons, among them, Hamilton College which is interested in the Hamilton Museum, hence Mr. Goodwillie’s visit to Nevis. Dr. Hull believes that the authentication and documentation of historical sites on Nevis including Bath Hotel, the Jewish Cemetery, Hamilton House, the birth Place of Alexander Hamilton, Fort Charles and the Slave Market are important in support of Nevis’ bid to have Charlestown included among UNESCO’s World Heritage Sites. In brief comments, Mr. Goodwillie, said his visit is to access the feasibility of the project and the willingness of authorities on Nevis to get involved and he is pleased with the response so far. “So far all the indications are extremely positive and I am hoping that we will begin a multiple-year relationship to digitise the most important documents in your archives,” he said. According to Mr. Goodwillie, the college had for some time had interest in preserving the historical documents on Nevis and initial work had been done by a group of visiting students in the past five years. He said he is pleased with the renewed interest in the project and expressed his delight in working in partnership with the archives on Nevis subject to the permission of the college’s library director, to preserve and make accessible historical documents on Nevis. Mr. Goodwillie also indicated that he plans to return to Nevis in January, with a contingent of students, to visit and analyse the archives at the Alexander Hamilton Museum. 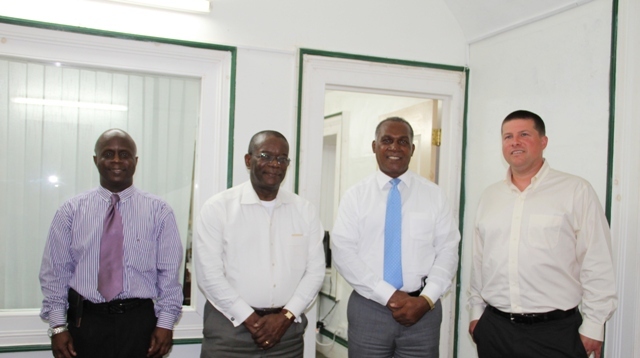 Also present was Permanent Secretary in the Premier’s Ministry Mr. Wakely Daniel.